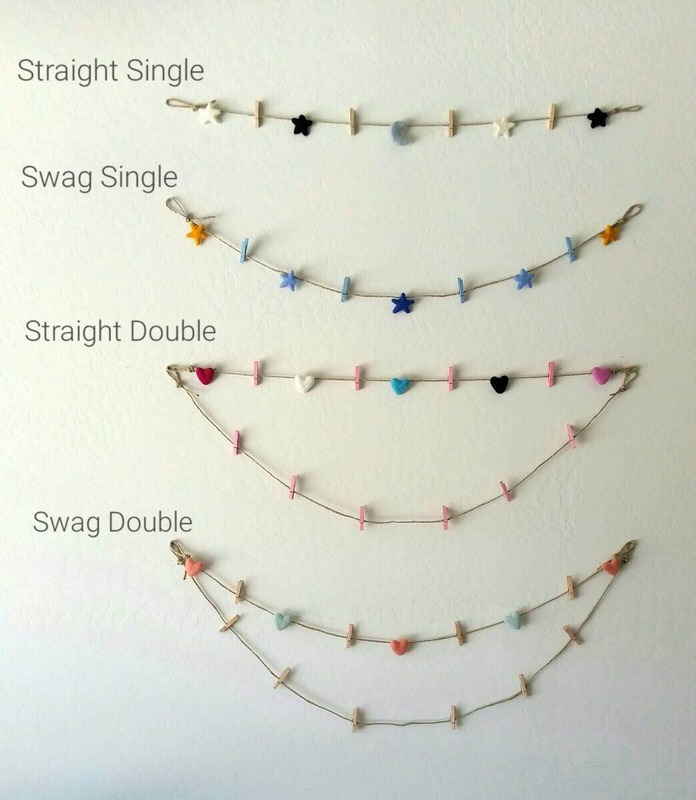 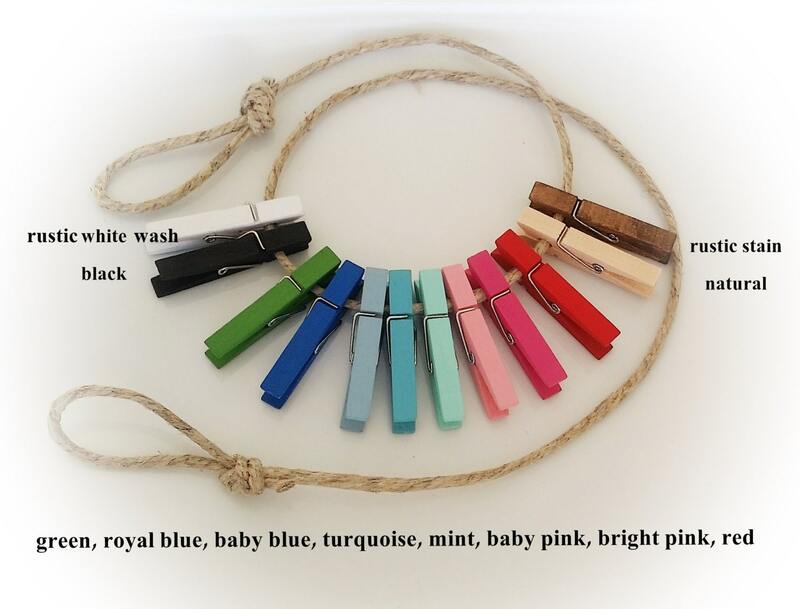 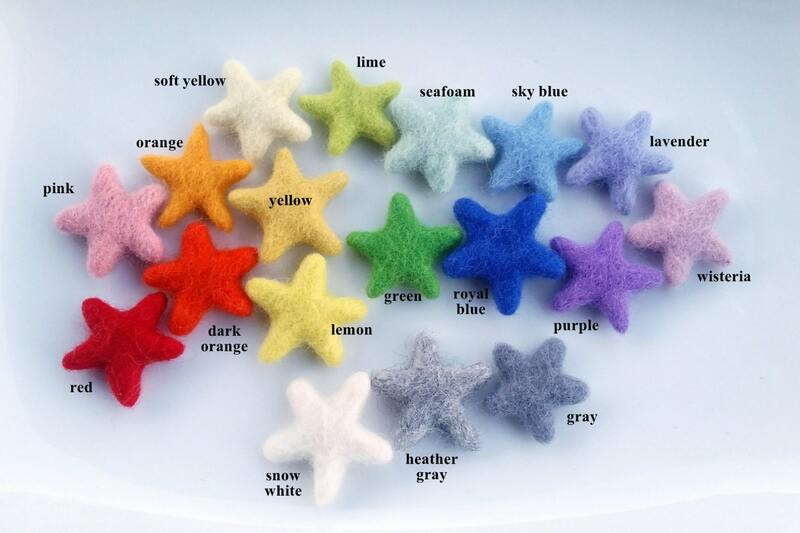 This listing is for one SWAG SINGLE DISPLAY GARLAND with hand-felted items and decorative clothespins. 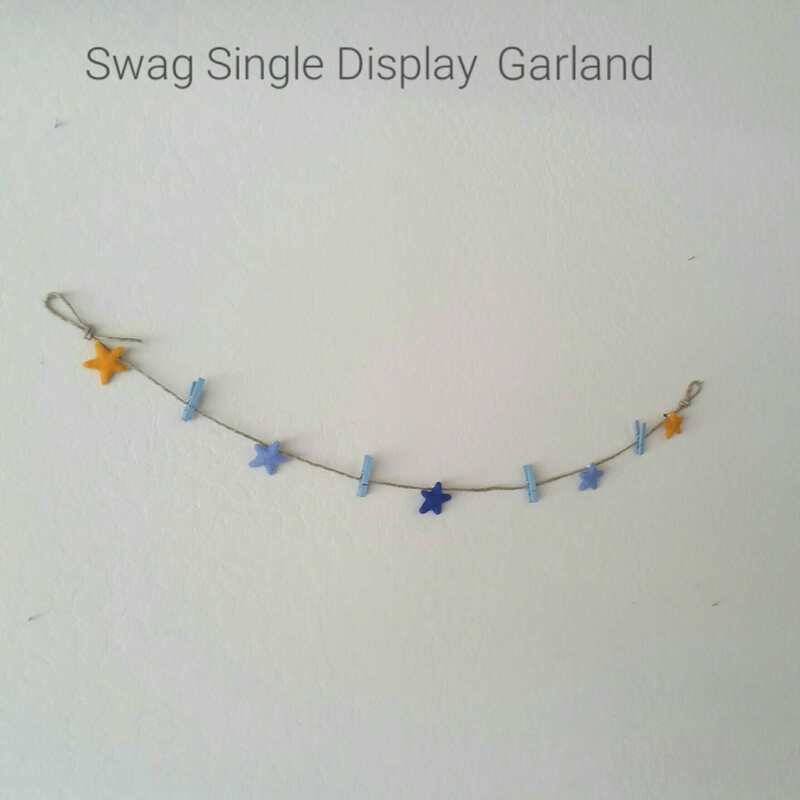 This Display Garland is ideal for hanging on shelves, bookcases, fireplace mantels, playroom walls, etc. 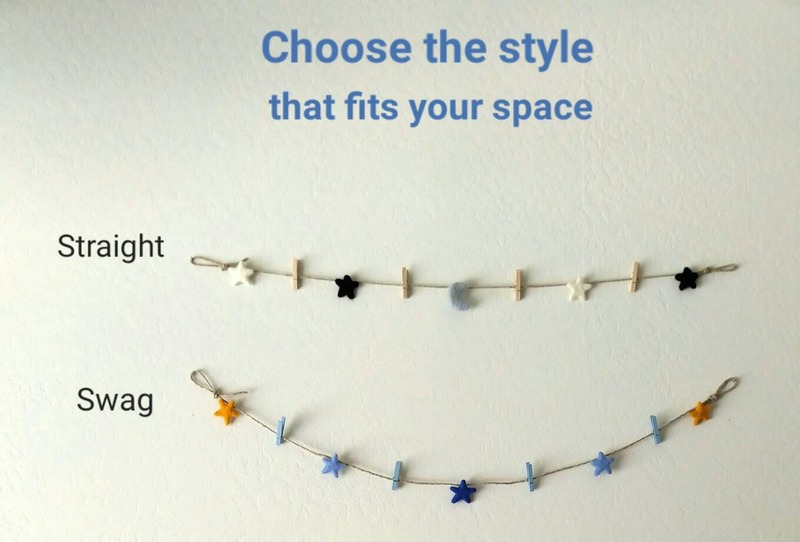 It helps to create a cozy design and is perfect for hanging smaller pieces of artwork, photos, and greeting cards.